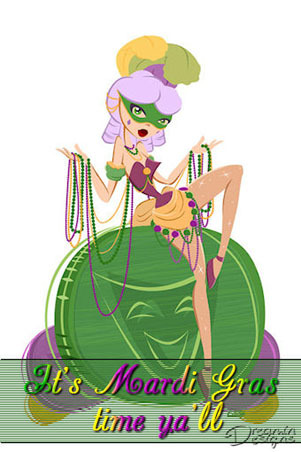 Good Fat Tuesday - Celebrate! Today is Fat Tuesday or Mardi Gras. People throughout the world will be partying as if there is no tomorrow, because Lent and its season of denial begins tomorrow. Now, I wonder if this is human nature. Do we always party when the "end of the world" is facing us? I mean...why not? With the end of the world ahead (although Lent is only a minor inconvenience, let's stretch just a bit...). So...with the end of the world ahead, do we run mindlessly like voles under the eye of the owls? Or do we break the glass to the liquor store, grab a few of their best bottles, and sit with our loved ones in the rooftop garden, drinking and listening to the emergency sirens piercing the air from far below us? The stars are still in the sky, your beloved ones are nearby, and you have good alcohol. I suspect that's a better way to go out instead of running. But that's just me. 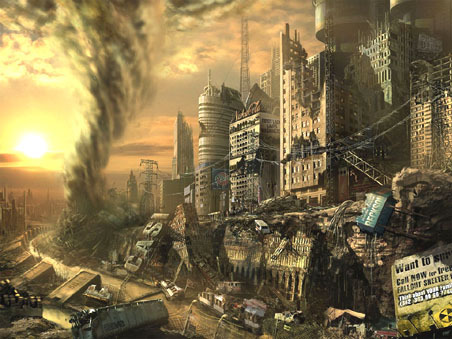 Apocalyptic novels have been written for generations based on those who do run, or those who are in locales that are enough out of the way that they escape the nuclear holocaust, the plague, or the invasion. So, when looking for a place to live, do we base our choices on how likely it will be to survive the upcoming, indeterminate apocalypse? Of course not. We choose where to live based on personal contacts such as family and friends, employment opportunities, and housing availability and affordability. So as you celebrate the end of our season of indulgence tonight and look forward to the season of Lent ahead tomorrow, wear your beads proudly. You celebrated when the minor apocalypse happened, and I firmly believe that partying is a better way to go. And for those of you (including myself) who will wake tomorrow clear eyed without a pounding head from overindulgence, at least we won't have to check YouTube carefully to make sure that our outrageous behavior has not been filmed and put out for public view. Have a safe and happy Mardi Gras. Current Location: Getting ready to shovel snow. I am very grateful that my youth was spent in the "dark ages" before "Big Brother" was so easy to access. There is freedom in anonymity.